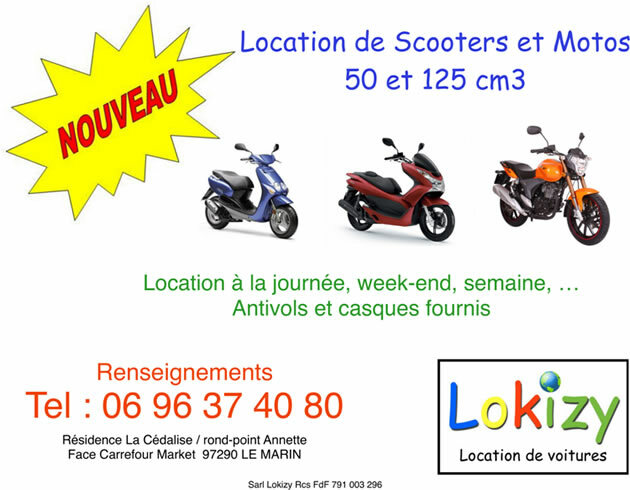 Now you can hire a motorbike or scooter in Martinique with Lokizy! Whether it is for a day trip, a weekend, a week or more; for holidays or for a business trip, Lokizy now offers motorbike or scooter hire in Martinique. Information and reservations by mail or call us. With Lokizy, it couldn't be easier!